Gadget Inspector – an online gift/gadget retailer – asked us to update their website in order to reflect the cool, cutting-edge products in which they specialise. Their brief made it clear from the outset that only a responsive website would do, and so we worked closely with the Gadget Inspector team to create a sleek, contemporary-looking website that functions smoothly and looks fantastic no matter what device you use to view it. We created www.gadgetinspector.co.uk, a stylish, mobile-friendly website that makes gift shopping easier than ever before. The minimal design looks very modern indeed, and this is the perfect backdrop for Gadget Inspector’s spectacular product range. The new site is extremely easy to navigate and use, and the company have been receiving a lot of positive feedback for the new design. "Everybody loves the new website, including the GI staff and all of our customers. It’s easy to find your way around, and making a purchase is as simple as can be. 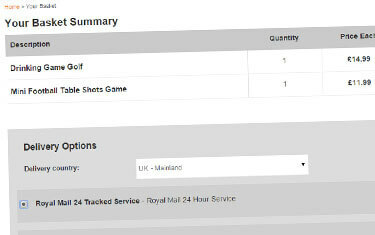 We’re particularly pleased with the new product pages, which look fantastic on all screens and allow us to include far more information than before." 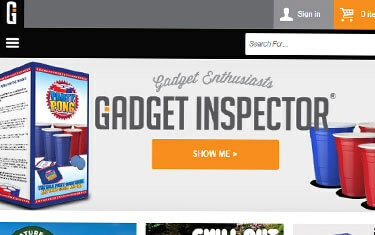 Responsive Websites: Gadget InspectorGadget Inspector is a UK-based, online-only business that specialises in unique gift ideas and unusual gadgets. The Gadget Inspector team noticed that an increasingly large portion of their site traffic was coming from mobile devices, and they began to worry that their existing website may not be giving mobile users the best possible experience. 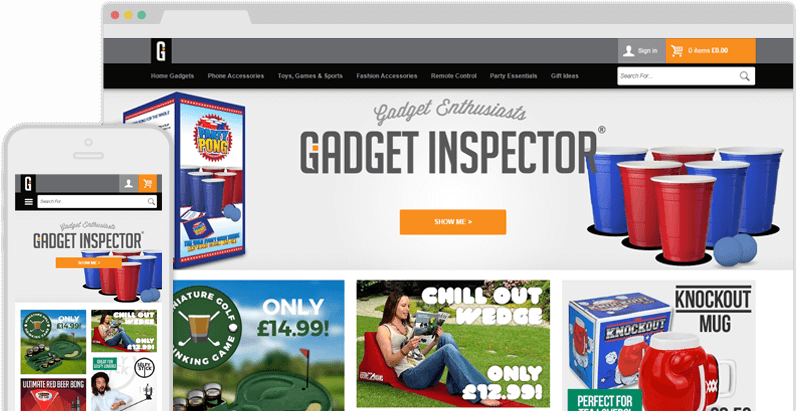 They wanted a website to match all of their innovative gadgets, and so we were called in to overhaul the Gadget Inspector site and turn this geek’s paradise into something that could be enjoyed and utilised on screens of all sizes. Fluid DesignResponsive design – which ensures that websites look good and function properly on any device, including mobile phones and tablets – is quickly becoming the standard approach to website creation. Google recommend it as a best practice, and implementing a responsive design is a good way to make sure that every user has a good experience with your website. Naturally, a high-profile website like drleah.co.uk would have to be responsive if it was to fulfil its potential, and so our design team created a stylish and contemporary responsive site that would work perfectly on any platform, from iPads to Androids to desktop PCs. Product PagesGadget Inspector is an extremely product-driven business, and so a crucial part of this project was making the site’s product pages look as good as possible. 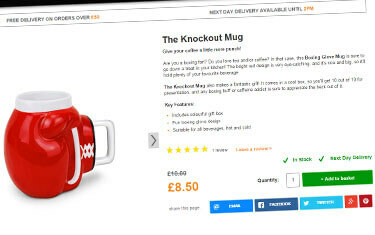 The new design really emphasises the large, eye-catching lifestyle images that GI use to promote their products; it also allows the team to list key features, suggest similar products, and even embed YouTube videos on each and every product page. Many of the gadgets sold on-site are quite technical, and our design ensures that there is always room for all of the important specifications. Online CheckoutOf course, a website like Gadget Inspector is worthless if customers are unable to complete their purchases. 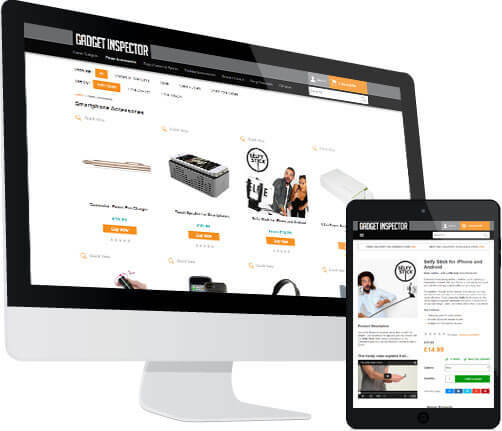 Fortunately, we at Designer Websites have a huge amount of experience when it comes to creating ecommerce platforms, and so we were able to create a robust, user-friendly online checkout system that makes purchasing gadgets from Gadget Inspector entirely hassle-free. Gadget Inspector uses Sage Pay integration to ensure fast, secure online payments; customers can register a user account if they wish, but they can also choose the ‘Express Checkout’ option, which allows them to head straight to the payment page and complete their transaction as quickly as possible.